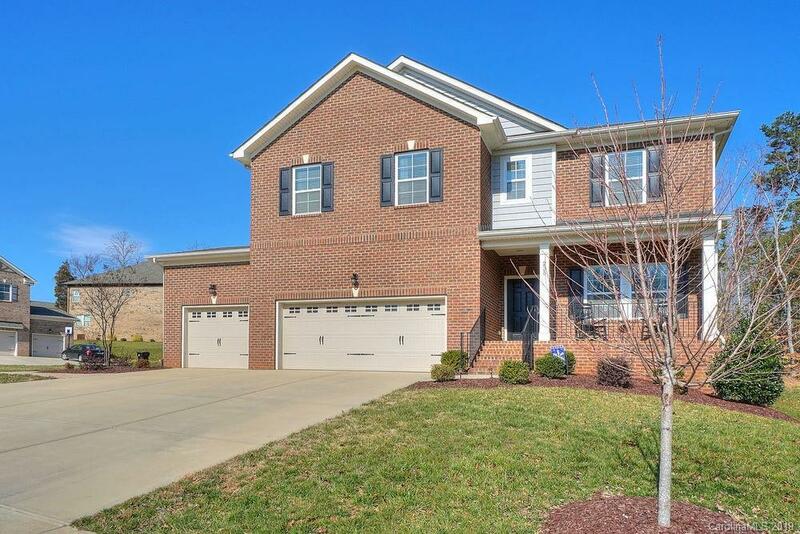 Front porch welcomes you into spacious move-in ready 5 BR Brick home in Foxfield! Crown molding through most rooms & wood floors in DR, Kitchen & Brkfast. Open floorplan kitchen has granite, eat-in bar & SS appliances, including dual wall ovens & gas cooktop. Walk-in pantry adds storage. Breakfast area French door leads to lg back deck. GR features corner gas FP & lighted fan above. Convenient main level Guest BR & a Full Bath. Upper level loft lends flexible living space. The Master up has tray ceiling & lighted fan w/lg ensuite bath & WIC. Master BA has raised height vanity w/dual sinks & granite top, plus tub & walk-in shower. 3 more BRs this level served by a dual sink guest bath. Tiled Laundry Room near bedrooms for added convenience. Outside, a paver patio connects front & backyard, w/fence surrounding level backyard. Enjoy lg 3 car garage and location on quiet side street in sidewalk community with playground, picnic/grill area & walking trails.